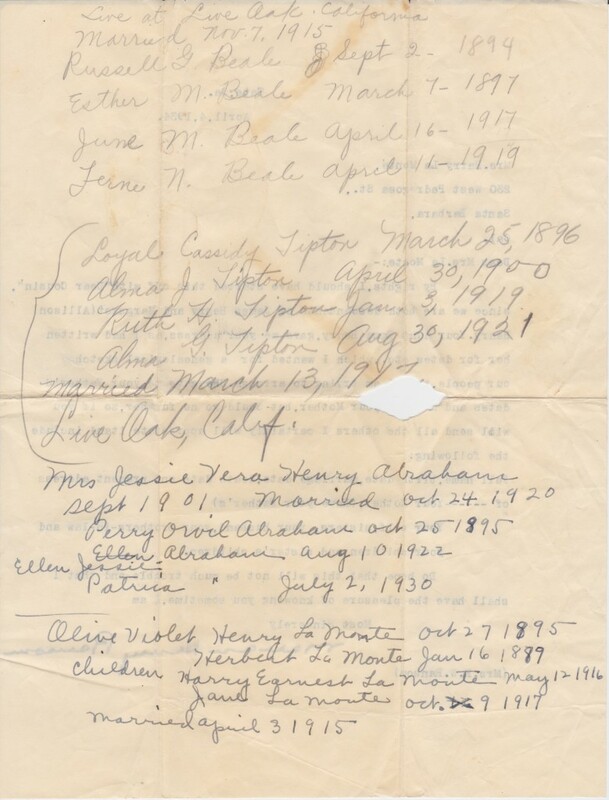 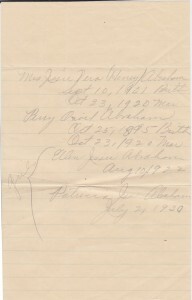 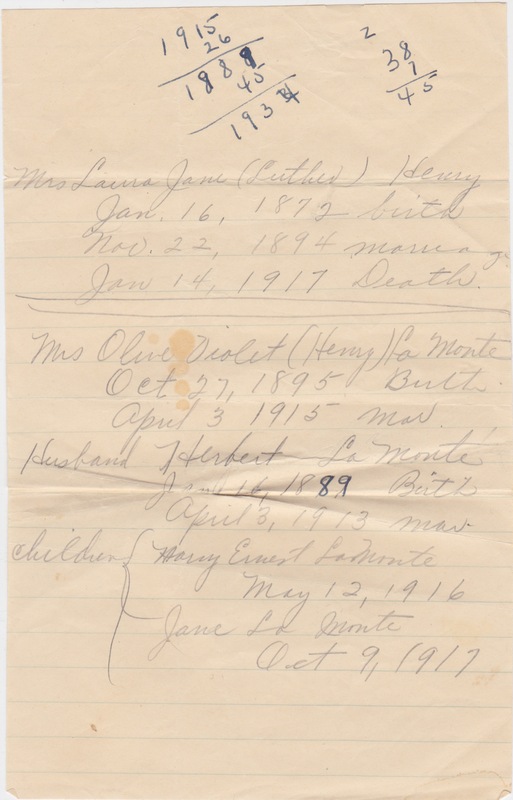 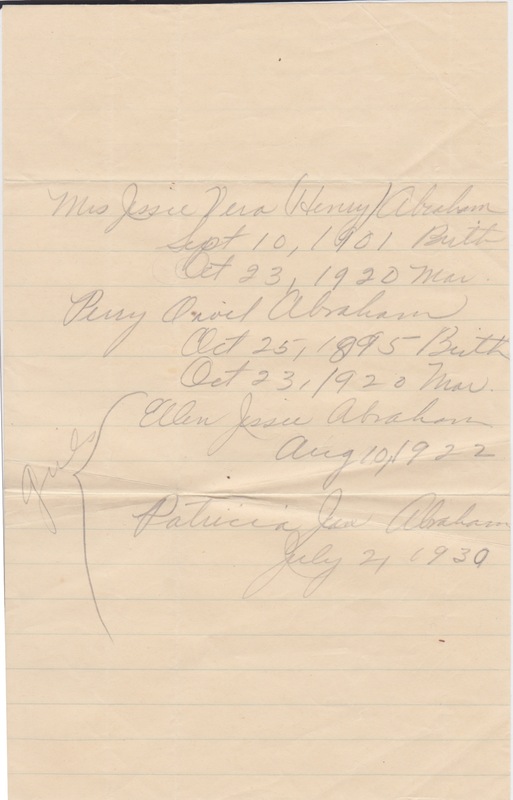 After receiving an April 4, 1934 letter from her southern cousin requesting biographical details, Olive Violet began to draft her response, using the back of the letter to record the names and birth dates of the members of her household, as well as those of her sisters and first cousin. 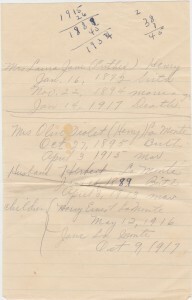 Two other slips of paper with the same information accompanied this list, folded up in an envelope from a local hotel. 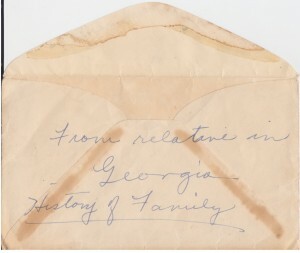 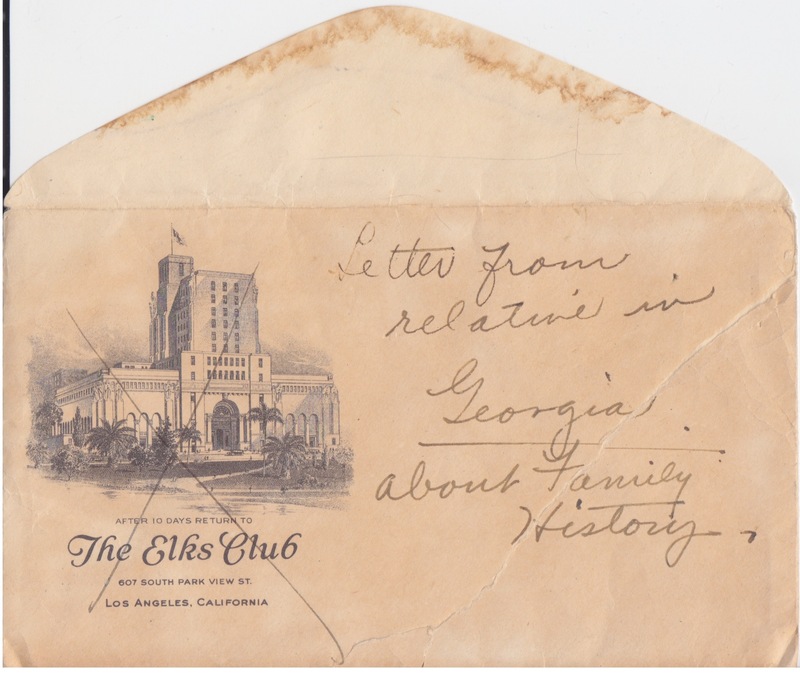 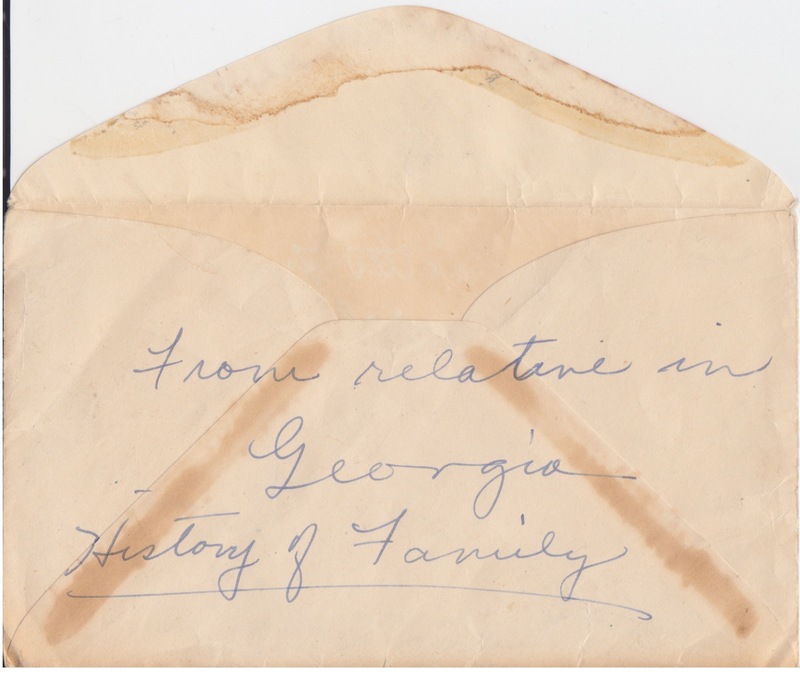 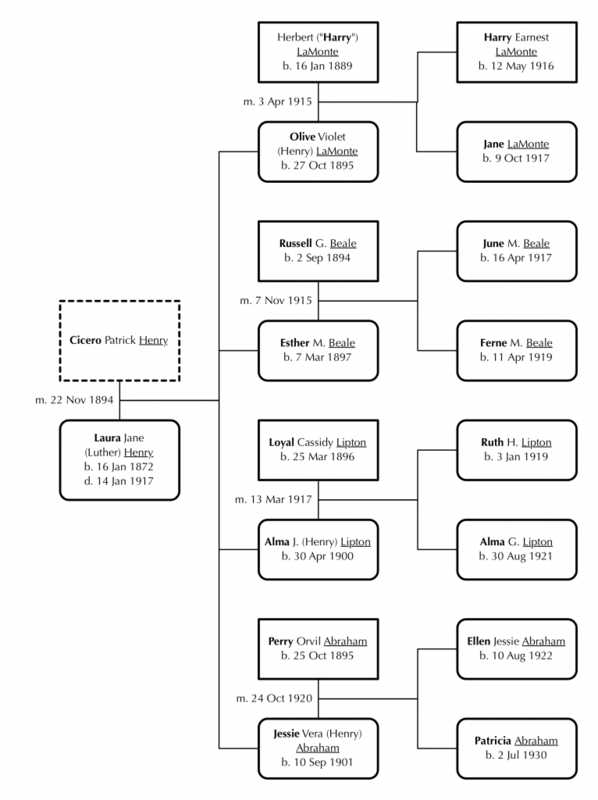 The letter was passed down to her daughter Jane, and then to her grandson George Jr.
One of the entries on the handwritten scraps of paper appears to be confused — Olive has written her maternal grandmother’s name above her mother’s biographical dates.